Westwin, a leader in cross-border business development, released 2018 Cross-border Consumption Report of Chinese Consumers in July, 2018. The report examines cross-border consumption patterns among Chinese shoppers through findings and insights on the opportunities and challenges the market holds. Co-produced by Westwin and leading independent third-party research firm, the '2018 report on Cross-border Consumption of Chinese Consumers' examines consumption behaviors in three segments of cross-border consumers: domestic online shoppers, international travelers, and for the first time, overseas residents (Chinese consumers working or studying overseas), an often-neglected segment of global shoppers. The report surveyed consumers in China, Singapore, Australia, Canada, the United States, and the UK. 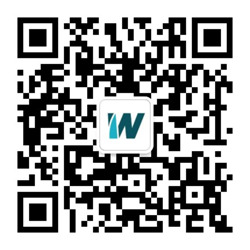 Westwin is a leading marketing consulting firm that focuses on cross-border business. We provide branding strategies and digital marketing solutions to help clients achieve success in China and globally. Westwin is a certified advertising partner of China's leading digital platforms including Baidu, Tencent WeChat and Sina Weibo. With considerable experience in cross-border business and partnership growth, Westwin is equipped with the knowledge and expertise to take your business to the next level. -	The number of outbound tourists from China has grown rapidly each year, reaching 130 million in 2017. China’s outbound purchasing was 115.29 billion US dollars, ranking first in the world, at an increase of 5% from 2016. -	Cosmetics, apparel & footwear, and electronic products account for the most cross-border purchases when food purchase sees a growth potential. USA is the preferred country for outbound tourists to consume, followed by the United Kingdom and Australia. -	With the increase in the number of outbound tourists from China, domestic mobile payment methods Like Alipay and WeChat have begun to emerge overseas. -	Powered by WeChat & Weibo, Chinese social media become one of the key channels for outbound tourists to search information and view ads.